What do mean by GOD, GOD mean's Generator, Operator, and Destroyer, in one sense. Board of Secondary Education Madhya Bharat Gwalior (M.P.) is an unique Board and a valuable heritage of the community to educated those who are not educated in conventional / manner or by BHU, AMU, JUA, IIT, JNU etc. Average life-span of people is ~42 years. Infant MR is highest in the world to the best of my knowledge and appoach. 93% children never see the school in their whole life. 80% women have only one saari to wear through the year. AIDS/TB/Leprosy and other STDs are threatening the life of common people as if the area is prone to World-War III. Villagers are deprived of electricity even after 63 years of independence. Basic needs of common people are never fulfilled by the resource available/ supplid by the administrations. We urgently need the stability of a controversial script of education for all because we and the rest of Indians are different, somewhat better somewhat worse and difference should be celebrated but it is genetically impossible for the state Government to provide minimum education for all that is the vertical expression of a horizontal desire of the people. Problems can not be solved at the same level of Awareness that created them (Albert Einstein). But education can solve all the problems in the present scenario from the face of the region as NIOS/Board of Secondary Education Madhya Bharat Gwalior (M.P.) enroll students by mobilizing and provoking them by them approach on door to door basis to those children who is supposed never to see the school in their life. Darkness of deep night can’t be removed by single candle but by power of innumerous candles lighting together. Now the deep and seemingly unending problems in front of us are like deep darkened night with can be overcome by bringing all positive forces together. On below mentioned missions, if any people / Organization/ Institution (Private/Public/Govt./Non-Govt/NGO) needs any kind of platform / collaboration / partnership / assistance / guidance / Joint Venture / start up to express themselves, to enable themselves grow, to achieve individual or common goals, please don’t hesitate to contact me. To elevate 40 crores of people from poverty in next 30 years. To uplift 100 crores of people into rich and stable prosperity in next 40 years. To optimize production and productivity of agriculture produce and bring the green revolution and white revolution to logical conclusion. Marketing and export of raw and packaged food products. Provision of I modern house to each family of country in next 40 years. Provision of good drinking water to each person of the country in next 20 years. (1.2) Infrastructures to be created in coming years. To remove 50 crores of people from state of semi-illiteracy of complete illiteracy in next 25 years. To bring the process of reforming the education system of the country to a logical conclusion and to create the most optimized and ideal education system in next 30 years. To delete the word like disease, sufferings from social dictionary completely under dual objective of prevention and cure of disease in next 20 years. e-literacy and availing benefits of e-revolution for 120 crores of people in next 40 years. Enable Bharata to become number one sports country in the world in next 30 years. To increase efficiency of existing 100,000 schools in the country in imparting ideal education to brainand heart of pupils. To establish another 80,000 model school based on my vision of ideal education which is an optimized combination of modern science and time-tested ancient values of Bharata. To establish 1000 college as center of excellence to develop pure scientific and technological temper among student. To avail benefits of computer and e-revolution to each people of the country. To enable Bharata to attain permanent supremacy on identified 50 major sports/games and to achieve unrivalled sports glory. Rural and Urban plantation, sanitation, and beautification. Population control mission to achieve zero growth rates in next 30 years. (2.2) Infrastructures to be created in coming years. 1 computer and IT knowledge development center in every village. Ministry of Home Affairs Govt. of India. Ministry of HRD Govt. of India. Ministry of Chemicals & Fertilizers & Govt. of India. Ministry of Higher Secondary Education Govt. of India. Ministry of Railway Govt. of India. Ministry of Labour & Employment Govt. of India. Govt. of India Planning Commission. U.P. Board of Sanskrit Lucknow. Department of Child Development & Project (CDPO) Govt. of U.P. Board of Higher Secondary Education, Delhi. Council of Higher Secondary Education, Delhi. 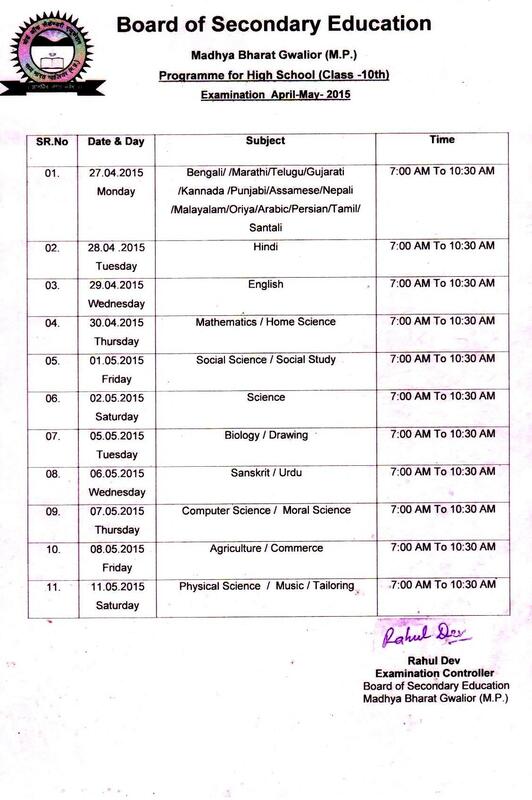 Board of Secondary Education, West Bengal. Vishwa Bharati Shanti Niketan, West Bengal. Shiats Deemed University, Allahabad U.P. Central Institute of Plactic Engineering & Technology, Lucknow. Manav Bharti University, Solan, H.P. Note : Original copies of orders of central Govt./State Govt./University/Boards are available in the office of BSE GWALIOR (M.P.) and its regional centers.. Vocational Courses of Medical Science Such as DMLT, DSEEMS etc. Govt. of India Planning Commission New Delhi. Confederation of NGO’s Rural India New Delhi. Family Planning Association of India Mumbai. All India Achievers Foundation New Delhi. Global Achievers Foundation New Delhi.